I’m Randy Ingermanson, award-winning author of 6 novels. I’ve been teaching fiction for about 10 years, and I love it! I publish The Advanced Fiction Writing E-zine, the world’s largest electronic magazine on how to write fiction, with over 30,000 readers. I also blog on The Advanced Fiction Writing Blog. I always love hearing from my former students who’ve gotten published. Hearing from one of them that they’ve sold their first novel (or second, or third) always makes my day. Seeing them get nominated for awards makes my day. Seeing their books in bookstores makes my day. Let me make one thing perfectly clear: Not all my students get published. The ones who do have plenty of talent and they work hard, often for years and years. That’s normal in the publishing industry. Publishing is a hard business, and there just aren’t any guarantees. All I can do for anyone is to help them channel their talent and effort in the right directions. I believe that nothing happens unless you take action. On this page, there are a number of ways you can take action. These aren’t the only ways, of course, but they’re the main ways I can help you. Take a look and see if any of them are what you need RIGHT NOW. 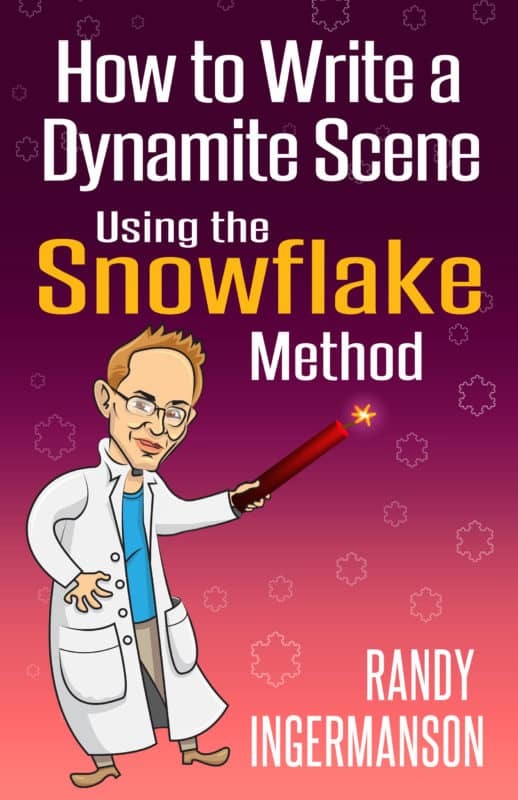 Randy is known around the world as “the Snowflake Guy” for his Snowflake method of designing a novel. Now he’s created software to make the Snowflake method fast, easy, and fun. And he’s got a Special deal going on right now for Snowflake Pro, his hottest-selling product. Are you dying to write your novel, but don’t know how to get started? 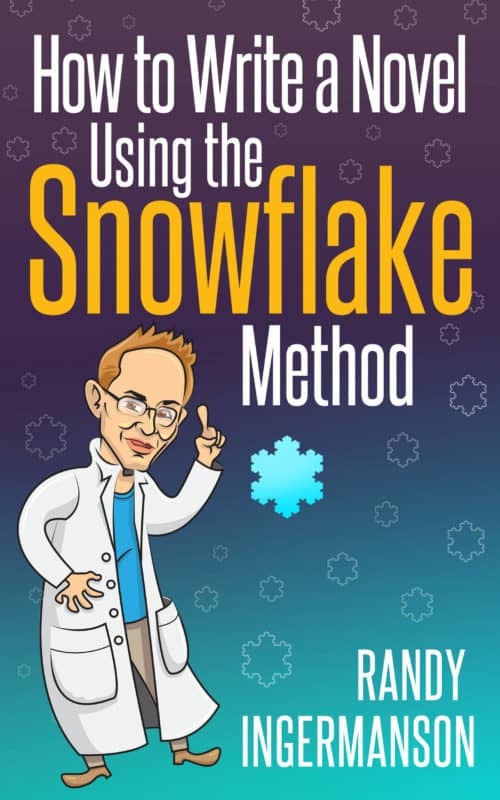 This best-selling book gives you a simple ten-step process to write your first draft using the wildly popular Snowflake Method and it comes with a coupon code for the wildly popular software Snowflake Pro. This book summarizes just about everything I’ve ever taught about writing fiction in one handy reference. I wrote the book especially for new writers, but I’m pretty sure that even multipublished authors will learn a number of new tricks. See how much you’ll save on Amazon. See what a great deal you’ll get on Barnes & Noble. See how cheap it is on iBooks. See the super price on Kobo.